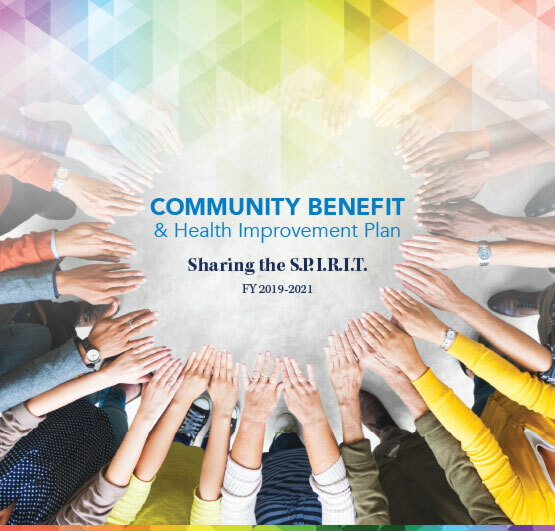 Community Benefit & Health Improvement Plan - The Partnership for a Healthier Carroll County, Inc. The Community Health Needs Assessment of 2018 provided substantial information about the health status of our community. Through the assessment process, a clearer understanding about our community’s health improvement opportunities emerged from the voices of those who live here. Information specific to Carroll County, Maryland from secondary data sources, targeted focus groups, and from many other sources was gathered and analyzed to provide a picture of local health needs, strengths, and barriers. Sharing the S.P.I.R.I.T. is the title of the publication that summarizes the assessment process and outlines implementation strategies designed to impact our need areas with measurable results. Sharing the S.P.I.R.I.T. is the Community Benefit and Health Improvement Plan for Carroll Hospital and its partners, and it is incorporated in the strategic plans of The Partnership for a Healthier Carroll County. The governing bodies of both organizations have contributed outstanding leadership throughout this process, and will continue to monitor our community’s efforts and progress through a formal annual evaluation process. Measurement data will be tracked in our Healthy Carroll Vital Signs report, which is updated bi-annually.